This short sleeveless dress is shaped to accent the figure. Angled V neck line. There are 3 seams down the front and it is hemmed around the neck and arm holes, with ties in back for waistline adjustment. 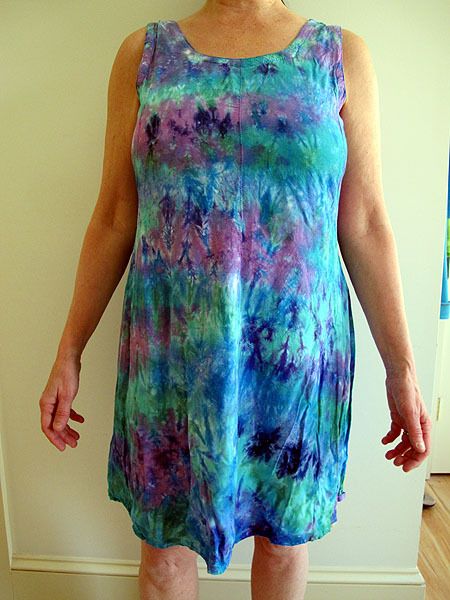 Made from 100% rayon, this dress feels and drapes as wonderfully as it looks. Use it as a jumper in the winter and a cool dress in the summer.